That said, if your family and friends includes the four-legged variety, make sure the only foods they eat this Thanksgiving are healthy and safe. Lurking within that pumpkin pie is a deadly danger for your dog. Use our handy-dandy infographic as a reminder for yourself and your houseguests on what’s safe (and what’s not!) for your dog to eat. 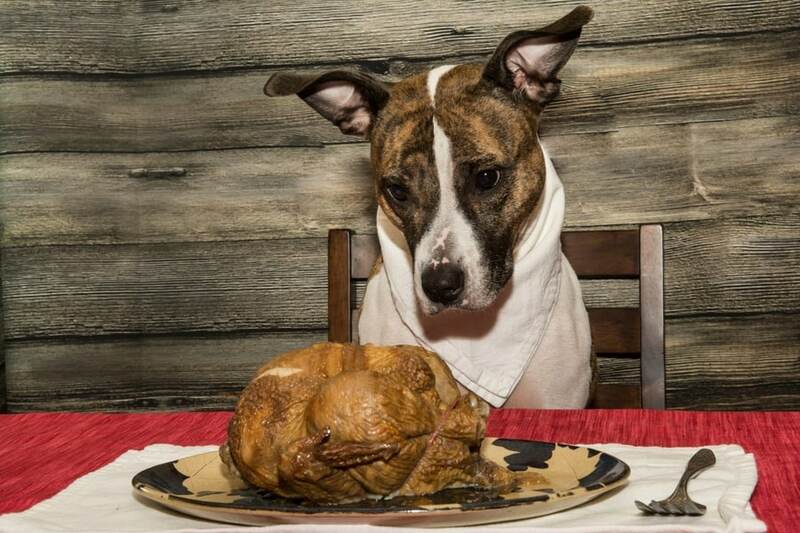 Make it a Feast Fit for Fido With These Thanksgiving Recipes for Dogs! Oh man I fed my dog all this yesterday. Maybe read the whole thing again. For those who keep arguing that their dog has eaten whatever for whatever amount of years. There are lots of things that dogs can eat! Why risk the tears and money as you watch the euthenasia needle slide in because you took that risk? Pancreatitis cost a couple grand as you watch your dog of IVs for a few days. The lil guys(especially under 10lbs) have very fragile systems. As a groomer of 22 years I have way too many tragic loss stories that could have been prevented. Well said. I had a doxie that got pancreatitis from just a ‘lick’ of something she shouldn’t have had. She died a few months later from what I believe was trauma as a result of the treatment that she had to have. That was almost 14 yrs ago and I still feel guilty about it. I try to tell family & friends to avoid giving their pets things that could make them sick but they don’t listen. Why take the chance? The financial and emotional toll is too great! We had an older dog develop “chronic” Pancreatitis after raiding the trash for roasted chicken remains. It is NOT fun, for you or your pet. His digestive tract was off and he would have repeated bouts when-ever given some foods (not necessarily fatty ones). Have a responsible adult or older teen play with the pets while preparing the feast and afterwards for the clean-up to keep them out of harm’s way. We often share a little of our food with our dog (manfred, the wonder dog) We figure it makes him feel more like part of the pack if he shares in the pack food supply but we are very careful and try to keep up with what is good for dogs and what is not. checking every article we see on what is good or bad for them. Interesting about nuts. Whood a thunk nuts are bad for dogs, but we never gave him those anyway.. Thank goodness. Most nuts are bad for dogs but they are able to have Peanuts. I don’t get it, why would anyone want to give their dog things they really shouldn’t have anyhow, garlic pizza, nuts, etc., just feed him what he is supposed to have period, seems to me it will save alot of guessing, and heartbreak. Our Beagle, is fed what the vet recommended, and once in a while a little dog treat, NO table food at all, glad to say he is a healthy 4 year old Beagle, happy and full of energy. We want to lengthen his life as long as we can! If going to feed a dog what they are meant to eat then stop buying commercial food.. raw fed is the way they are suppose to eat.. Not that processed stuff filled with useless carbs.. protein is what they need..
I’ve had dogs all my life and I’m a very senior citizen. I have fed my dogs just about everything, before we ever learned what can kill them. Raw cabbage, various nuts, walnuts mostly on a daily basis, grapes, raw veggies of all kinds, ice-cream, potato chips, turkey, spaghetti with tomato sauce, chocolate chip cookies, and on and on—before learning about some things not to give them. Likewise, in my youth our dogs got table scraps daily. I don’t think they even made dogfood in the 1930’s!!!!!!! My dogs all lived to be a ripe old age, healthy all the way..
My only pet that died at a young age, was my miniature schnauzer, Freddie. He was 10 yrs. old and finally I had him put to sleep 2 years ago, after about 6 months of various illnesses. It started with breathing problems never diagnosed???? ?, kidney stones, stomach upsets and finally leukemia. My Freddie got everything available for dogs. All the recommended shots, flea/tick control, heart worm medicine, every shot every year. He started getting sick, (in retrospect) after I treated him with those yummie chicken jerky poisons made in China!!! And besides all this he got dog food as the main part of his intake. I was thinking that dog food was the best for him in our progressive world of inventions. Since Freddie died I firmly believe that dogs don’t need all that crap, immunizations galore, flea, heart worm control, etc. etc. No wonder dogs live shorter lives. I’ve researched a lot and now feed them raw chicken, naturalistic dog food (like Paul Newman stuff) and use common sense about the walnuts that my baby schnauzer loves and minced raw veggies and so on. Moderation and sensible variations along with steady and stable regular food. I would keep them on raw diets completely but it is a huge commitment and unfortunately too complicated at this time of my life. The only time my baby schnauzer vomits, is when she eats too much rabbit or bird poop when we go walking in the park every day. She’s sneaky about it. I can’t always catch her in time!!! Good luck to all of you with your babies. They make dog food and cat food for a reason. People food can even kill people. Just because it didn’t bother one dog or another means nothing. 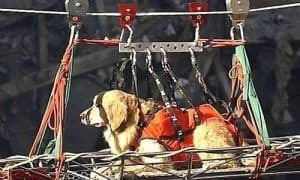 Why chance something which is so fatally experimental on your 4 footed kids? Not to forget…dog and cat food can kill dogs and cats. Talk to your vet and stick to a plan. Nobody is perfect but a little mistake or an animal breaking into garbage can ultimately be fatal. Just use caution. my son works as a vet tech and said NO people food to our lab! Think everyone! I see people post “oh I’ve given my dogs _____ and not one ever died from it” posts everywhere! THINK! 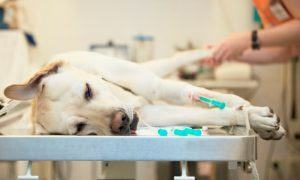 Certain foods can kill your dog or can kill your dog over time! We all love our animals and want the longest and healthiest life for them! SO… remember that your dog is not starving so giving them certain foods will not distress them. In fact lots of love or hugs and attention is just as good as a treat to them! Here is a list from the ASPCA of foods that hurt your pets. If you’ve given your dogs ANY of these foods count yourself lucky that it wasn’t an expensive mistake and your dog is alive today. Also remember that renal failure can slowly happen and in your dog’s old age you may have extra expenses because their kidneys are failing but that gets explained away as old age. BUT if you didn’t feel your dog certain foods over the years, your dog may never had suffered from kidney issues in their old age! If you’re not sure about certain foods, best not to feed it to your dog. You don’t want to see them sick and they won’t mysteriously die if you don’t give it to them in the first place! I’m surprised raisins aren’t on this list. Don’t forget raisins (and grapes) are very toxic as well! How about you feed your dog a good quality dog food and no human food then you wont have to worry about it! Concerned? CALL A VETERINARIAN!!!!! 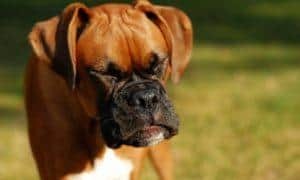 Your dog Can NOT talk, so stop being so damned stupid!—if there’s even the remote chance that these types of foods may upset your pet’s tummy, Then DON’T give it to them. Plus, animals aren’t like humans whining about every little ache & discomfort. They hide their pain very well until it’s too late, and medical intervention is needed. So for those lame idiots who say, “I’ve given my dogs blah-blah-blah all their life-blah, blah, blah….”—–I’d say please shut your pie hole, you’ve no idea what you’re talking about. Some people here act like they’ve put themselves through medical school and have the same qualifications as those in the veterinary field. To those wanna-be experts: Please, do everyone a favor and quit dispensing your “simpleton” advice. Onions can be extremely dangerous. My little dog got a scant amount from the residue on a food tray. By the time we made it to the vet her tongue was grey and she was barely breathing. It took the vet several hours to get her stable and she hasn’t been the same since. To anyone who thinks this list is overkill, keep in mind that while it may not make them sick every time it only takes one time to kill them. Chocolate is deadly for dogs, but I know dogs who have gotten ahold of chocolate and never suffered ill effects, but I don’t want to take that risk with my pets. Can’t believe some of the ridiculous comments on here! Read what it says & take notice! It doesn’t say ever dog WILL die, it says they CAN die! Some dogs mite eat all these things & be ok but r u willing to take that chance again???? I know for a fact these things CAN KILL! It’s something to b aware of & look out for. Don’t take the chance, just because u have given it b4 doesn’t mean it’s not gonna kill ur dog this time!!!!! Thanks for the info. Hadn’t heard about nutmeg and sage. Will be very carefull now that I know!! Oh nutmeg is scary .. trust me i know first hand .. and i had no idea that it affected them at all .. if it happens to your dog you will freak it is pretty bad .. im so glad this website posted Nutmeg i think this is the first one that ive seen that has ..
I’m astonished by some of the comments here. It’s almost as though some of you have a fetish about being able to feed your dogs certain things. The number of you who are arguing over whether such-and-such food is 100% fatal or only 10% fatal, or whether it’s fatal 20% of the time or only extremely painful 70% of the time, is mindblowing. If something has a significant risk of making your dog uncomfortable or worse–even if you’ve fed it to your dog before and it doesn’t happen to have caused an immediate problem at the time–then don’t feed it to your damn dog! Ever since we took our dog to the when he was young, he hasn’t had nuts of any kind. Y’all are a bunch of idiots. I’ve had dogs eat everything under the sun and they just fine… You people are pathetic with nothing better to do, get a life!!! It really shocks me as to how utterly clueless some pet ‘owners’ are! 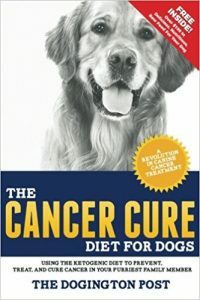 You would think that one of the first things one would do when obtaining and caring for a pet is to educate themselves as to what your pet can or cannot eat! There are tons of online articles that delineate this important information. If you get a dog or cat, take the time to go online and READ READ READ! WELL DUHHHH! you should NEVER feed your dog anything besides EXCELLENT quality dog food with NO CORN OR WHEAT in it!!!!!!! the only ‘table’ food mine get are the occasional bite of beef (NOT the fat) or raw carrots. Thanks for asking my opinion. happy tails to ya! Apparently nobody read the article. The fact that so many people want to argue semantics about “well I give my dog this and my dog is fine” and/or “you can’t say this will kill a dog, because I know someone with a dog that, blah blah” is the stupidest kind of logic. If you don’t care about what might make your pet sick, you shouldn’t have a pet, period. Bryan you are a prick! How bout you go chug a couple bottles of ipecac. It won’t kill you, it might make your stomach upset, and you might vomit, but you won’t die… The fact that you are a pet owner makes ME feel sick! I don’t know about anyone else, but bread pudding graces our table at Thanksgiving, so I think it should be noted that grapes and raisins are also extremely toxic to your pooch. Ironic that everyone knows chocolate, but its likely the least toxic of all of these items as well as grapes. Whoah! Stop! And everybody take a deep breath! Man, aren’t there enough real horrors in the world without us inflating mere possibilities into more??? Sure, while it’s certainly true that all living things can be allergic to something, we really need to “grain-of-salt” information like this, people. I have shared small amounts of ALL of these foods with my various dogs over the years (decades!) with absolutely no negative consequences for any of my furry pals. DOGS HAVE BEEN LIVING ON HUMAN FOOD SCRAPS FOR MILLENNIA and they’ve made it this far. As in all things, common sense is your best guide, here. Share small amounts at first, observe carefully, and get to know what your particular dog can/cannot tolerate. Simple. And a great way to help ensure that our over-abundant food supply doesn’t end up as more immoral waste — as over 50% of food from first world countries currently does! I agree. People get too carried away. For instance, I used to show my toy poodles and one was very thin. A British judge told me, “feed him some chocolate”. I was at the vet’s one day when a hysterical dog owner called to say her dog had eaten half a chocolate chip cookie. The vet rolled her eyes and explained to the dog owner her dog would be OK. I cook for my dogs and only had two that were sensitive to onions. They were both Italian greyhounds and were brothers. I know many people who feed onions and garlic to their dogs without any problems. I don’t know about other kinds of nuts but my dogs eat peanuts without any problems. I say your dog is better off with table scraps than with store bought treats! Shouldn’t water chestnuts be on the list? A lot of people put them in stuffing. I think I heard they were dangerous for dogs. Interesting and logical remark about pureeing vegetables first before giving to your dog. Thanks. GREAT resource for a fairly complete list of foods to avoid giving your dog(s). Hadn’t realized the salt thing but makes so much sense. I have a family member who’s so interested in providing healthy consumables that she adds Pink Himalayan salt to the water for the minerals, etc. I think it’s overboard and will stop that now in view of potential electrolite imbalance. Thanks. Hops can cause Malignant Hyperthermia in certain dog breeds, the most common being greyhound however the exact breeds are unknown, that is the whole cone or ground hop flower. The chemicals released into beer itself during the making of beer is not enough to cause sickness. The alcohol is the larger threat, and in moderation would likely not cause true sickness and extended period of drunkenness. I sat here reading these comments and was shocked to see the bashing of ways people raise their pets. All I know is that If your child’s doctor told you onions ” could ” possibly kill your child or make them feel very ill, would you CHANCE giving it to your child??? Pets are just as defenseless and dependent! So, if a vet says No it ship old be No….not “well, my dog……ugh! My dogs eat raw eggs all the time…they eat raw everything. Dogs don’t have the digestive system of a human so I find this misinformation funny. Also, I use garlic for any infections that they have 🙂 Look up its uses–it’s not toxic. My Grandpa used to feed my childhood dog chicken all the time. We would go on vacation and he would order himself and Rufus (the dog) a plate each. He would take all of the skin off for Rufus. Rufus also constantly ate people food, he was begger with cute eyebrows, so he usually got his way. He was super overweight when he passed but he was happy and 16 years old. You can’t say that all the food is the problem or that certain kinds of food are the problem. All dogs just like food have certain sensitivities to food and other things. Everything is cause and effect. My dog loves Almonds and it’s one of the only things that he will chew. I find it hard to believe this is bad with the fact that dogs are mainly fed food that is not even FDA approved. No this is not my proven research, it is my opinion, which I believe is common sense to dissect the whole problem here. Most of these things are okay saying it may rise in the stomach or is hard to digest doubles for humans. Dogs will be just fine so long as you keep them away from there allergies like chocolate. Just as humans have responses to deal with bad food so do dogs your article makes them seem like fragile little porceline dolls you must take care of. 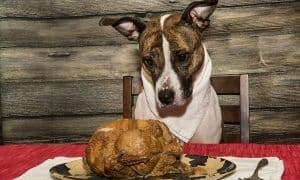 Is turkey ok for dogs? I always gave my dog turkey (no skin or dark meat), someone recently told me the tryptophan can harm/kill them. Is this true? one of my dogs ate raw chicken bones once, I didn’t give it to him, someone else did at the beach, they thought they were doing the right thing, this little treat cost me a heck of a lot of dollars to help him survive, I’m not talking about a few hundred dollars but the amount was over 2000 us dollars, so no dog of mine is ever getting raw bones in my house. If garlic is a no-no then why is it found in herbal dog supplements and in some premium kibble? Is there a certain amount of garlic that is beneficial and deemed safe? The natural flea and tick powder I give my dogs has garlic as the first ingredient. My vet, who is also into holistic medicine for pets, is on board with this treatment. Thoughts? Is it ok to feed dogs chopped up hot dogs? Supposedly hotdogs are not ok. They tend to expand and bloat in the intestinal tract and could lead to blockage. True for humans with GI problems and especially any stomach surgery. I would like to also mention Hartz Flea and Tic dog shampoo. I was taking a shower with my shih Tzu, and the bottle slipped and a lot fell out on Lily’s back. I washed her and rinsed her the very best I could. The next morning she couldn’t walk, vomiting and I thought close to death. I rushed her to her vet and he came out and asked what Lily had been around. I couldn’t think of anything out of the ordinary and then I remembered the shower incident. He moved immediately and $600 later she was in an oxygen tent, IV of antibiotics and a few hours later came home with me with an IV in her leg with medications. He saved her life and told me this shampoo as killed dogs 10 times her size! He also recommended writing Hartz and tell them the incident and have this crap removed from the shelves at stores. My vet also said to use oatmeal or good old baby shampoo. So be aware of the awful shampoo and what it has and can do to our doggy babies. There is nothing in chia seeds or coconut milk that is harmful to dogs. Garlic is actually not bad for dogs if given in responsible doses! Yes, they contain Thiosulfate, which in huge doses can cause liver damage and/or death, but garlic contains much much less thiosulfate than onions/shallots/leeks, etc. A medium sized dog would have to consume a huge amount of cloves to get to this level. The most you’d want to feed a dog is 3 cloves for dogs over 100 lbs. A 30lb dog can benefit from a clove a day. Garlic is a natural antibiotic that won’t upset the beneficial gut flora, it’s antifungal, antiparasitic and antiviral, is good for the immune system and can even help repel fleas. Raw garlic is best! During or after a meal is best also, as raw garlic on an empty stomach may cause some discomfort…ask me how I know that, har har. Of course every body/dog reacts differently to every substance on earth. Just because one dog doesn’t respond well to garlic, doesn’t mean it won’t work for other dogs. Hmmmm…So what can dogs eat?…. Be sensible, be smart and inform yourself as much as possible. If you aren’t willing or capable of vetting the research papers yourself then err on the side of being conservative and follow these sorts of guidelines. But for the people who say “animals eat animal food for a reason” – seriously? You think dogs evolved as companion animals and work animals within human communities over all this time by eating kibble out of a bag? Tell your theory to the many pet owners who have lost pets to contaminated pet foods in recent years. Tell that to the multitudes of people who have dogs with cancer and degenerative diseases. Dogs can survive on kibble, but real food (if prepared by an intelligent and informed owner) is far superior. The amount of nutmeg in a holiday dish will not affect your dog, nor will a small amount of cooked garlic. No, your dog should not eat an entire container of nutmeg. Neither should you. Macadamia nuts are especially bad, onions (and in spite of the note in the article, yes, raw IS worse), grapes, xylitol (check your toothpaste and gum), cooked bones, all poor choices. Although we all know chocolate is bad, if you look up the toxicity level you will find that unless your dog ate a whole bar of dark chocolate, your dog is likely in the safe zone. Concentrated fats shouldn’t be given with dense carbs or foods with sugar (actually, those just shouldn’t be given at all, to your dog or to you), but healthy fats with proteins and some puréed veggies is fine. Bear in mind that if you don’t eat organically raised meat, the fat concentrates toxins. For you and your animal. If you don’t purée veggies, your dog can’t bark down the cellulose walls and the nutrition is wasted. They evolved to gut their prey first and consume the stomach contents of herbivorous animals who had done the digestive work for them. Basically, if you find anything on this list surprising, stick to animal food and hope for the best. And if not, you already know what to do. In our house we have a general ban on feeding our animals chocolate at all; it would be great if saying ‘don’t give your dog alcohol’ wasn’t necessary but I’m sure it is. But a little more info on what “doses” of these would be in order. 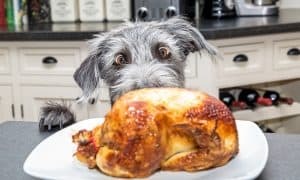 Even if turkey skin includes no seasonings other than salt and pepper, it’s kind of a no-brainer that eating a lot of it is going to make a dog sick. And if you give your dog a bite of your pumpkin pie, how dangerous is that level of nutmeg? Common sense can go a long way. Bummed that my screenreader software was unable to recognize the text in the article about foods that could kill my Guide Dog during the Thanksgiving holiday. I was able to read enough of the comments to get a general idea- no onions, garlic, turkey “entrails” (giblets), sage, nutmeg… what are the remaining three foods to be aware of? I’ve heard the same thing about Mushrooms, raisins/grapes too. Also heard the same thing about tomatoes too. I’ve heard mixed reviews on tomatoes… and, considering many dog foods contain “tomato pomace”, I certainly hope it’s not Toxic!! Mushrooms are bad for dogs in the same sense they are bad for us… If you buy mushrooms from the grocery store, you’re good. If you wander around in the woods eating any mushrooms you find, you’re probably going to get very sick. Tomatoes are a nightshade. The tomato fruit itself is not toxic, but the leaves and stems are. I have heard of dogs reacting to green tomatoes with stomach upset. Same goes for eggplant and potatoes. My dog is going on 15, and she picks the red tomatoes from our garden! She loves them. She also loves green peppers. 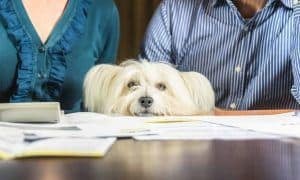 The fact that not ALL dogs will have a negative reaction EVERY time is all the MORE reason to post this info; dog owners may have a false sense of security because they have seen another pet eat the questionable food without any negative reaction, only to be faced with rushing their animal to the emergency clinic–or even losing their beloved pet. Even a vet may not know ahead of time which pets will find a certain substance toxic and which will not…so why take the chance? Re peanut allergies in humans: certainly many, many people can eat peanuts without suffering any ill effects–but isn’t it important to realize that peanut allergies CAN, in certain susceptible individuals, cause a life-threatening reaction? Wouldn’t you want all parents to be aware of this BEFORE they give their child that first PB&J? Please don’t let ignorance of a potential hazard endanger your pet’s life! what about giving them cherrios as treat? add grapes and raisins to the list too. Very toxic. 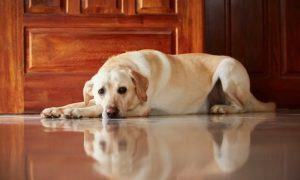 Can cause kidney issues in dogs. Great info-graphic, I would like to pin it on Pinterest. I recently learned that grapes, raisins, and currants are toxic (level: moderate to severe) to your dog too. It’s a day for which we wait whole year and the day of ultimate joy and happiness. Every one of us wait for this day. It’s a day of fixing relation. Special foods can be a marking item to memoire the event. These are not all accurate and these things do not affect all dogs. Garlic is actually recommended as a homeopathic method for dealing with fleas, ticks and other things and it works great, it is not toxic unless you are smothering their food with very high amounts daily and stating that as fact is irresponsible. Yes, some of these things do affect SOME dogs negatively, but that is like saying that ALL humans should stay away from peanuts because a lot of people have nut allergies that can kill them. Bottom line, is do your homework and you do what you feel is best for your dog. There is a report of a small amount of garlic salt on a slice of pizza causing illness in one dog. The other dog in the household had the same treat and was fine. This particular dog’s owners didn’t believe the garlic salt was to blame, so they fed a small amount to the dog again, and the pup had a relapse. The point here is that EVERY dog is different. Some are more sensitive to toxins than others. I’m an ER vet, and it costs around $1200 per hospitalized case that I see. The only one benefiting here is me and my practice. What pet owner would even want to take that chance and feed their pet something that is highly unnecessary and could be potentially fatal? Oh, and let’s add grapes, raisins, and wine to the list. They cause kidney failure. You are right in saying that all dogs are different just like people. I would suggest that if you want to do the homeopathic thing with garlic, take it slow. Add just the tiniest amount to food and SLOWLY work your way up to full amount. Keep on eye on your pet to see if they have a reaction. That is just common sense with anything you feed your dog. Thanks for the addition of any food grape related. I had heard this once before but luckily have had no personal (or vicarious through our dogs)negative experience with grape products. I assume sugar isn’t all that great either, like feeding non-chocolate candy, or sweets. For dogs or cats known individually or by breed to have kidney concerns, if your house water is especially high in mineral content, perhaps using filtered or purified water will help. Our dog had so many stones, of both origins, so she only gets purified and it’s helped over the past 5 years. Thanks, I always thought dogs loved garlic and it was good for them. This is great information, have shared on my blog and hope the message gets out. Happy Thanksgiving! Garlic in small quantities is often recommended for dogs to boost their immune system and ward off parasites… in large quantities, it’s bad. Onions are MUCH worse than garlic on the toxicity scale. Just a few bites of onion can cause serious trouble. I have always given my dogs garlic in small amounts. It helps ward off fleas and skeeters. I have never lost a dog due to this. As I am over middle aged now, I have had a lot of dogs in my life. My german shepherd ate garlic a lot! She loved it! Raw garlic. A clove but she was a full grown dog. Not very often, but she got it and she lived through it! I didn’t know then that it might be toxic or I wouldn’t have given it to her. She lived a full life. I fed her a lot of no no’s but they were raw. Not cooked people food. She loved bananas, too. I always laugh when I read “no cooked people food”. If any of you believe for one minute the commercial crap you are feeding your dog is good, you are sadly mistaken. I am a firm believer that commercial dog food, hearworm prevention, over vaccinations, shots etc..are the reason our dogs don’t live as long as they should! These are all poisons we put into their systems. I have a 16 year old Chow/Lab cross and he has had cooked “people” food his entire life. As did my family dog growing up. Think outside of the box people and remember that vets are there to MAKE MONEY, end of. Perhaps you should do some research using reputable sources, or better yet-consult a professional, such as a credentialed Veterinarian or veterinary technician. I also believe that there is “people food” that is appropriate for dogs and cats to consume; once in a while I will steam some baby carrots for my dog as a treat and it’s perfectly healthy for him. And yes, there are numerous commercial pet foods out there that are not a healthy choice; I view low quality pet food the same way I see processed human food; neither are healthy. As for heartworm prevention and vaccinations- both of these “poisons” are preventive measures that give a pet protection against pain and suffering that could be caused by heartworm disease, (can you imagine having dozens of parasitic worms living in your heart? ), feline leukemia (no cure), and rabies (fatal to your pet and you)…just to name a few. I have witnessed people lose pets that were like family to them, and the guilt they feel for choosing to decline a simple procedure that could have saved the animal’s life. And lastly, you think people (vets, vet techs) choose these particular careers for the money!? I pursued an education that put me in a considerable amount of debt, knowing damn well I wasn’t going to get rich but I did it because i want to help animals and hopefully educate pet owners so that they can provide humane care. It’s not so much the vets will steer you wrong due to money, it’s the conglomerate food corps who load all kinds of crap and extra pesticide ridden products & meat “by-product” crap in your pet’s food. It’s a way to use left over stuff from the production of other products and people food. Your pet is getting all kinds of fillers, GMO produce like corn, grown, produced, and processed without any regulation for chemicals etc. Then it’s packaged as though we people are going to eat it, with colors, fake gravies, shapes & textures so that it looks yummy and healthy to us. Who cares if it looks good to us? A piece of raw any animal isn’t exactly appetizing but it may be just what my furry friend needs. Our Schnauzer loves bananas, fresh spinach and carrots. We don’t feed scraps of fat, etc. And never ever onions or cabbage. I know from experience that onions can make a dog violently ill, as though they have food poisoning, guess what? they essentially do. Why would you want to quibble over the difference between the potential of dying and “just having a bad stomach”? If you care for your pet, you won’t want to give it anything that even might be harmful or cause even the most temporary distress. This isn’t an article to spur people to call each other names or to make anyone feel crappy because they’ve given this or that. Unless you’re relating a personal experience, it might be good to cite the source of your information. Let the source take the rap for being right or wrong and take on the scrutiny of legit credentials. Keep Calm, Be Happy. Find a great balanced organic dog food, if you can afford it, that is. Do your research. Learn and adapt behavior. Otherwise, like we all do, just do the best you can and learn what you can to do better in the future. We’ll all live longer, people and pets! Well said! Best comment I’ve read so far. I agree with the $$ remark. All this B.S. about dog/pet food. Pet food industry is about a hundred yrs old. What in the world did our domesticated pets eat before commercially prepared pet food think about It. Most of these items WON’T kill your dog out right or even right away. The title of this post is quite misleading! 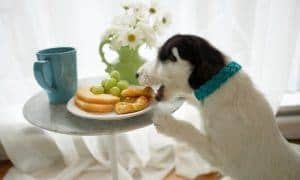 Though you don’t want to usually feed your dog these items, some of them might just give your dog a tummy ache at best! You might want to do better research before you post erroneous articles that mislead dog owners and readers. The article stated it CAN did not say it will cause immediate death. Read the damn article before posting low IQ answers. The post about bones clearly states they are not safe and may cause issues resulting in high vet bills. Wow, you are incredibly rude. It would be better if the article had said MAY instead of CAN. You do realize that “can” represents an absolute, as in, these foods at some point will kill your dog. Also,the implication in this article is that any death that would occur would be soon, not say, a week or a month down the road. It’s complete sensationalism. Go read a dictionary Xenli; “can” is not in any way an absolute, it denotes ability. Cooked bones are bad to give any animal as cooking dries it out and causes the harmful sharp splinters that break off. RAW bones are completely safe for carnivores (dogs and cats) to eat because when the animal breaks off peices they are rounded and not sharp. Sorry Xenli, CAN is not an absolute. “WILL” is an absolute. The amounts required to be toxic and harmful will depend on your dog’s sensitivities to the ingredients. Of everything on the list, onions are the one I find most scary, if you do your research. Onions are VERY bad for dogs. thank you for clearing that up Sandra! I don’t think it’s worth taking the chance, at least with my animals. I won’t give any of them chicken or turkey bones. This is because a friend of mine put some bones out for the outside cats, then heard a dreadful cry from one of them. She went outside and found one cat with a chicken bone protruding from it’s throat. I agree, I don’t give my dogs any “bird” bones at all, pork either. They can splinter to easily, not worth the chance in my opinion. The bones from birds are dangerous to dogs as they are light weight and many hollow which CAN cause them to splinter when chewed and those bone splinters can cause serious damage as they are swallowed which CAN cause internal bleeding, the need for surgery, and in some cases death. Be thankful that you have been lucky in the past. Steve, you are right and WRONG. Some dogs will not die from eating turkey bones, turkey skin (as most of us either have fed these to our dogs or know someone who has and the dog was fine, same with garlic and onions…. That said, I am a vet and most people do not understand the concerns with any high fat/ high carb food for dogs. We are the ones who diagnose and treat and sometimes watch dogs die (or have an owner decide to euthanize a dog) when they don’t get better. It is a REAL and sometimes fatal disease. Also the uncommon but real anemia that onions and garlic can cause. I live in western PA and we also see dogs developing fatal pancreatitis from dear entrails… Hunters field dress a deer in the woods, leave behind the tasty(to most dogs) guts and viola… doggie treat free to the lucky canine finder…. they eat them and then get terribly ill. Some just vomit for days, but it can kill. Just so you know, yup…. I will give you that some dogs can eat this stuff and only get a ‘bellyache’, but if your dogs is the one that dies… it is tragic and it DOES happen. Sorry about the iffy grammar, and ‘Dear’ entrails… I did mean Deer. It is early and I am fired up… seen too many die. I just know someone will ding me on my grammar and spelling as I ‘are’ a professional… but when you get excited about something sometimes your fingers fly faster than your eyes read. Also I have chores to do, am rushing this but felt it was important. Just thought I would add a note also. We own a German Shorthaired Pointer and a few yrs ago we had a ham for dinner and my husband gave our dog the ham bone. The bone was not that big, maybe a few inches long and in the middle was all the marrow. Our dog started violently throwing up a few hours later, loss of bladder control and very weak and shaking. We had no idea what was wrong (I thought he was going to die it was so bad). We rushed him to the vets office and come to find out because the protein level was so high with all the fatty marrow and oils it just about killed him. His spleen was so enlarged (we saw X-rays), his kidneys were failing. He ended up with antibiotic and sacs under the skin for dehydration and a special diet for months. Needless to say we will never do that again, he was sick for days and weak. Dogs are NOT people and some have special diets because of the breed. People need to do research on their dogs and learn, we learned the hard way. He is fine now but it is not an experience I would like to go through again! Happy holidays (give them a dog treat) and be safe. I feel terrible after reading the list. I share walnuts (shelled) with my dogs as a snack. They love them. That now comes to a stop. Are almonds all right for them? almonds, peanuts, and cashews are ok in very small quantities. It is the fat content and the salt you have to worry about. A lot of other nuts are NOT SAFE to give to them. What a horrible thing to do to a hambone.Your suppose to put that bad boy in a pot with some beans any kind or some fresh greens…..
also makes for a very tasty split pea soup along with an onion. If the dog is fed low quality food (almost everything for Purina, or Science diet) where it draws most of its protein from non meat sources, and uses grains for filler, a sudden increase of meat protein in the form of marrow from a bone, or an increase quality of food (no fillers, only meat protein ect.) can cause bad reactions in dogs and cats. But if it is introduced over time and increased over time the animals don’t have issues with it. It really doesn’t matter the breed all dogs and all cats can live off a Raw diet and have no issues with the protein, skin or bones of the animals because it is raw. Are entrails different than tripe? Yes, Sandra. Tripe, the stomach lining, considered to be a valid food, is really entrails, Most of the rest of the guts are not considered food. I have a dog that almost died from pancreatitis by eating a piece of fatty meat the size of my thumb…. THESE THINGS CAN MOST CERTAINLY KILL A DOG! At best, they may cost hundreds or thousands of dollars in vet bills. Steve C. you are an idiot… why do you have zero concern about even POSSIBLY making your dog sick? What an a-hole! Your print and share just don’t work. Wish I could share this but can not. Thanks anyway. Try highlighting what you want and then print it with your printer choosing “selection only” and you will get what you want. That is what I have to do too. I have two rescue dogs !11 years old each! You may have saved their lives! Will Pass On the info!